Rainie is the director of Internet and Technology Research at the Pew Research Center where his work centers on the internet and its social implications. 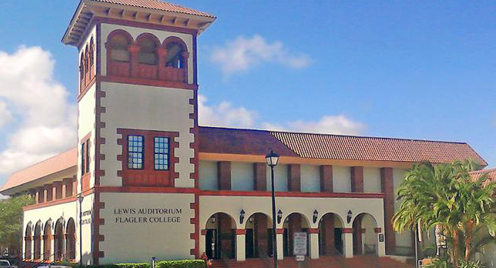 Like Flagler College, the Internet turns 50 this year. With this public presentation, Rainie intends to explore how the internet will change our lives in the next half century. “Changes in the internet will disrupt the human body and mind, time and space, global social and political systems, economic and class arrangements, and educational settings like Flagler’s,” explains Rainie. Rainie has issued more than 700 reports based on the center’s surveys that examine people’s online activities and the internet’s role in their lives. He also directs Pew’s initiative on the intersection of science and society. In 2014, the American Sociological Association gave him its award for “excellence in the reporting on social issues.” In addition to co-authoring “Networked: The new social operating system” with sociologist Barry Wellman, Rainie is the co-author of five books on the future of the internet, based on Pew surveys about the subject. Prior to launching the Pew Internet Project, he was managing editor of U.S. News & World Report. The Pew Research Center conducts public opinion polling, demographic research, media content analysis and other empirical social science research, now including analysis of “big data.” The center does not take policy or partisan positions. For more than 30 years, the Flagler College Forum on Government and Public Policy has invited nationally-recognized journalists and commentators to St. Augustine to discuss issues of importance in regional, state and federal government. All Forums take place in Lewis Auditorium, 14 Granada St., at 7 p.m. Forums are free and open to the public, but seating is on a first-come, first-served basis. If you are a person with a disability and need reasonable accommodations, please contact Phil Pownall at 904-819-6460. Sign Language Interpreters are available upon request with a minimum of three days’ notice.